I blame it on my father. From the time I was first forming memories, he was making something. Electronics. Furniture from kits. When he and Mom bought some acreage, he built a couple of sheds. It's in my blood, obviously. I can't help myself. I refuse to pay someone to do something I can do myself. Or, more correctly, something Dad could have done by himself. 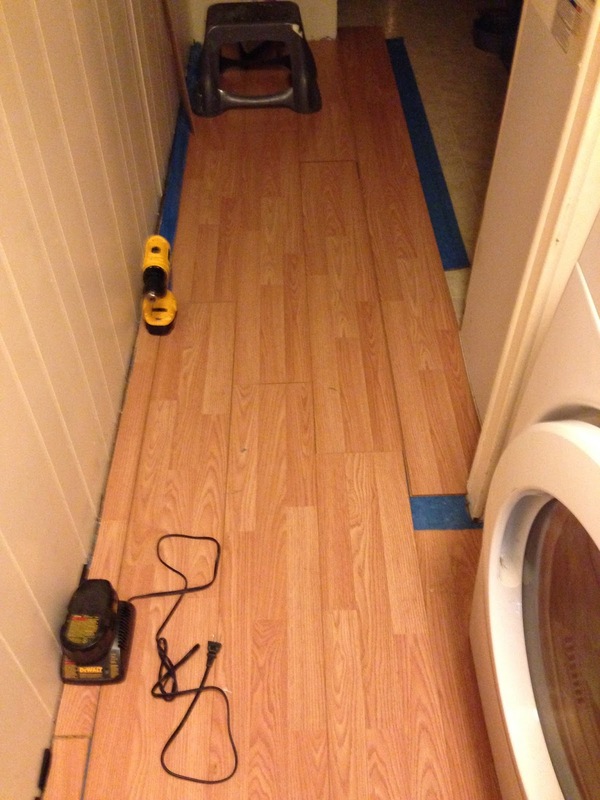 Last year in my wild frenzy to make some improvements around here, I bought laminate flooring for my hallway and kitchen. And let it adjust to the environment in the house here...for more than 14 months. 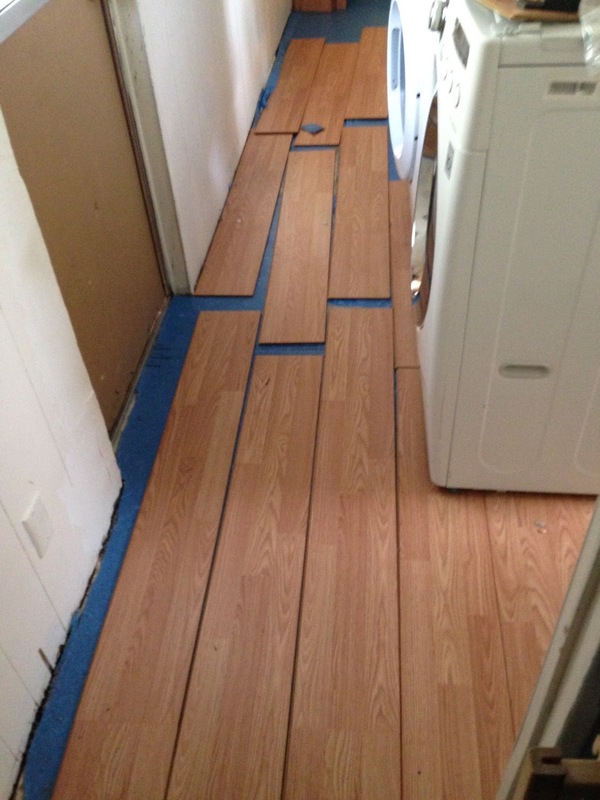 I'm not sure what triggered it this time, but suddenly I had to get the flooring installed. Right. Now. I did what I was supposed to, looking at videos and reading tutorials so I could be sure to do it right. I started measuring and cutting. The cross cuts were fine with my circular saw. My attempts at ripping lengthwise weren't. I was afraid it was operator error but I got back online and discovered the circular saw wasn't the best choice. A jigsaw was. 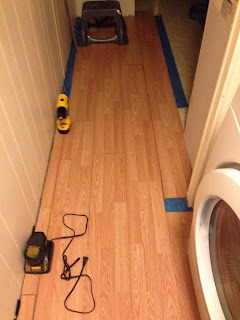 I headed back to the hardware store--after researching the cheaper brands of jigsaw, of course--and while I was there I picked up the handy-dandy flooring installation tool kits recommended on all the blogs. When I started gathering tools the next day, I discovered I'd bought one of those tool kits a year ago with the flooring. I'd just learned rule #1: When doing a project of any sort, start it soon enough that you remember where you put all the tools and parts. Back to cutting wood. The jigsaw was so much easier to use on cross cuts, and I when I noticed my straight lines always veered in one direction, I adjusted the angle of the wood and followed my guide line exactly. I felt so smug. Then it came to ripping lengthwise again. The jigsaw worked so much better! The operator didn't. My cuts resembles a drunk walking the yellow line in the road. Lesson #2: Don't blame the tools when there's a possibility of operator error. With enough practice and not too many wasted boards, I managed to make some pretty straight cuts. And learned how to trim the wide parts back to where they should have been cut. Insert happy face here. One reason I started working on this when I did was because the temperature was down in the nineties for a few days. A very few days. Today as I learned how to use my jigsaw, I was doing so in 100 degree weather. I had a rag handy to keep the sweat out of my eyes. With all the breaks I needed to take to re-hydrate and cool off, rule #3 came to mind. When you live in the desert, plan to do your projects in the fall or winter. Oh, wait, I did plan to do this in the fall...then the winter...and even spring. Leave the DIY stuff to the pros. USA Today Bestselling Author Aileen Fish is an avid quilter and auto racing fan who finds there aren't enough hours in a day/week/lifetime to stay up with her "to do" list. There is always another quilt or story begging to steal away attention from the others. 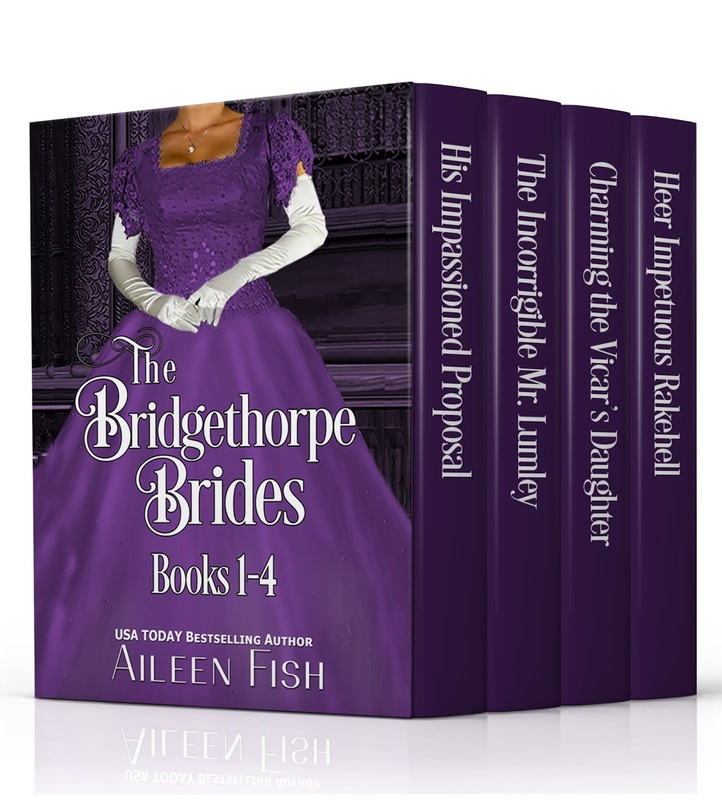 Her books include The Bridgethorpe Brides series and the Small Town Sweethearts series. She can be found on Facebook,Twitter, Pinterest, and her website. Her latest release is a collection of the three novellas and novel that make up the first four books in the Bridgethorpe Brides family. With three more books in the series releasing soon, now's the time to read the series from the beginning. I am so ready to take on a project like this! Thanks for the tips!